Dutch NGO Somo has been blowing the whistle on the Netherlands’ tax practices since 1973. So far, to little effect. The founding member of the European Union was still the world’s third-ranked tax haven in 2016. EURACTIV’s partner Ouest-France reports. “The evidence is piling up,” said Katrin McGauran, clearing a mountain of documents from her desk in an old house just outside the city centre in The Hague. Top of the pile is a document entitled “Fool’s gold”, the case of a gold mine in Greece, run by Canadian mining company Eldorado Gold. “An example to show you the Dutch sandwich,” a lesson in tax optimisation. Eldorado Gold and its three Greek subsidiaries prospect for gold, dig it out and sell it. But the profits pass through 12 “letter-box” companies registered in the Netherlands, flit across to the Bahamas and then land in Canada. This complex arrangement has allowed the company to avoid some €1.7m in corporate tax in Greece, as well as €700,000 in social contributions. But that is not the worst case of its kind. Malawi, one of the world’s poorest countries, has lost some $27.5m in tax revenues over the last six years, according to ActionAid. Many multinationals use the services of these companies. Six of the world’s top ten arms manufacturers (including American giant Lockheed Martin) use Dutch tax evasion structures – with a bare minimum of personnel, sometimes zero – to take advantage of the beneficial “parent company – subsidiary” relationships offered in the Netherlands: no tax is due on dividends and capital gains made from the sale of shares. Marked by shiny copper plaques, these consultancies are ideally situated for foreign investors in Zuidas, Amsterdam’s “City”, a short trip from Schipol international airport. 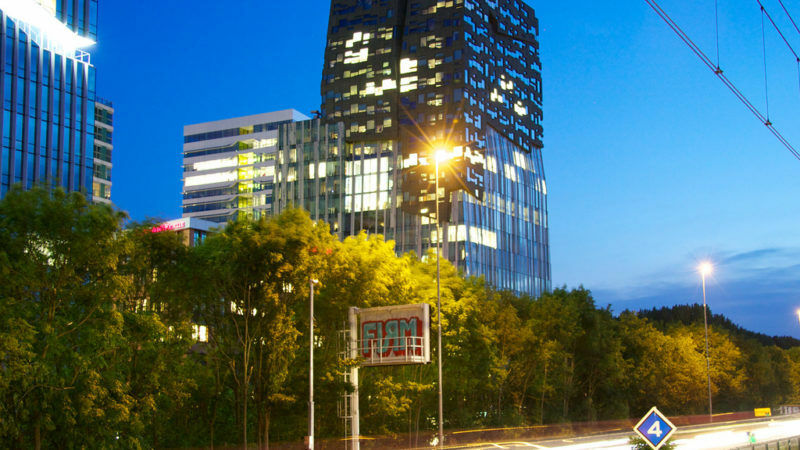 According to the Dutch daily Volkskrant, Zuidas has not been troubled by the police since 2007, when a raid was carried out on the offices of the First Alliance Trust, on the 22nd floor of the Vinoly tower. No further action was taken.